As a kid in my late teens and early 20’s, I’d often find myself in a shop being drawn to the magazine section. I didn’t train, but I’d glance at those fitness/muscle magazines and think, “Damn, I’d like to have that kind of body”. Wasn’t much chance of that happening – I thought. 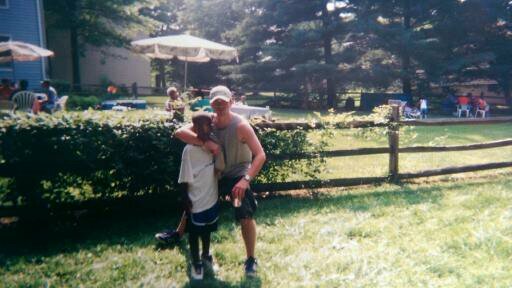 A skinny kid, no muscle and a gut that hung over my belt. Typical skinny-fat guy. I wanted more of the aesthetic look of the Men’s Fitness/Men’s Health cover models, not the pro bodybuilder-look on the cover of Flex Magazine. Goal…achieved! Drug-free. No it didn’t happen overnight. And I knew it wouldn’t when I started. But one thing about me is that I’m not afraid of hard work. If I want something, I’ll work until I get it. I don’t have an “entitlement” mindset. I’m not entitled to anything from anyone. The world doesn’t owe me a living. I need to work for the things I want in life…or I don’t get it. Simple as that. So how did I do it? I took a scientific attitude towards this thing. 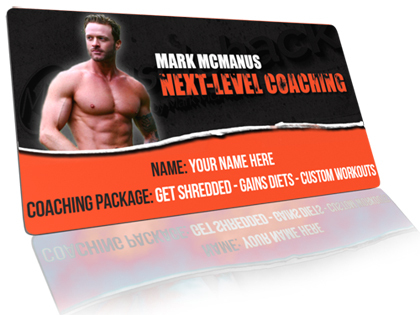 All we are really wanting to do is increase the thickness of muscle fibers (that’s all muscle growth is) and lose fat (I now coach people online on how to get shredded abs fast here). There should be no mystery. Surely science has figured this thing out, I thought. And since others have done it, I can replicate the same results. How many sets should I do for maximum results? How often to hit each body part? How many reps is best for hypertrophy? What are the most effective exercises for each body part? It turned out that there had been real studies on all these matters and more. And I found them. Then it was time to take all this data and turn it into an actual workout plan. NOTE: Before I tell you about the workout, I also keep my testosterone levels at the max levels naturally possible by using 8 strategies. 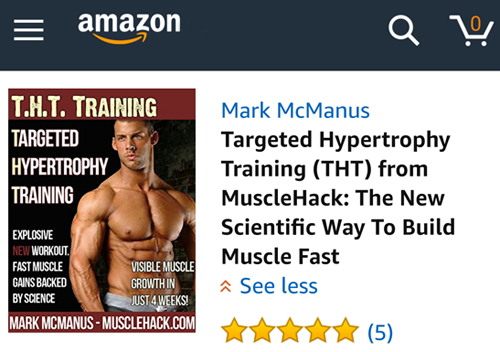 I put together a short guide that will reveal these 8 ways to optimize test levels so that you can have more lean muscle, increased strength, increased energy levels and less body fat. 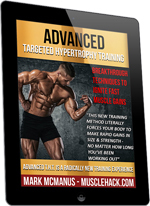 The workout plan that was created as a result of the findings is Targeted Hypertrophy Training (T.H.T.) 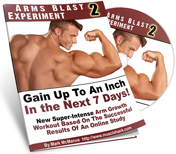 – you can click here to download it free. And I’ve been using it to great effect ever since! Everything is based on the studies. THT is NOT my mere ‘opinion’ on the best way to train for size gains. 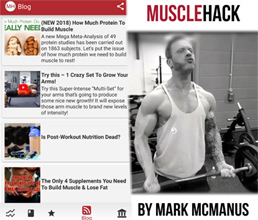 Also download the MuscleHack app – you can track your workouts inside and the full THT manual is also inside for you to read. I don’t just show you HOW to train, but explain WHY you are doing it that way. All the studies I am talking about are referenced in the THT manual. 20-30lb GAIN IN A YEAR? Since the bodybuilding orthodoxy tells us natural lifters to expect a 3-5lbs of new muscle in a year, what do you think about a guy naturally building 5lbs muscle and losing 10lbs fat AT THE SAME TIME in a matter of weeks?! Sound unbelievable? It isn’t. It’s just that most people just don’t train correctly out there in the real world. And I have rock-solid proof! Here’s a DXA scan (a type of x-ray) from a guy called Bob Bixby using my Advanced THT workout who gained almost 5lbs of muscle and lost 10lbs if fat in his first 8 weeks (Nov-Dec 2018) on Advanced THT. According to accepted norms, this just can’t happen! From November 4th to December 30th – look at his fat and lean tissue changes! Mind-blowing! 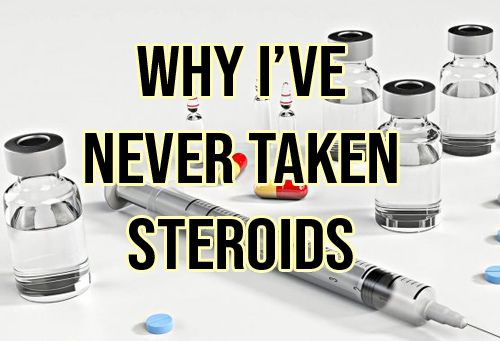 So…that’s why I’ve never taken steroids! I never wanted the pro-bodybuilder look. And I knew that I had found a real, scientific, dependable method to attain my goals naturally! If you answer yes to either or both of the above, you’ll need steroids to attain your goals. 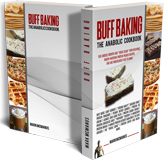 But if you don’t want to look like a pro bodybuilder and you are willing to give it 100% and do what it takes for as long as it takes – you can attain your dream physique without resorting to steroids. And if you listen to me (which means listening to the science) you don’t have to waste years of effort making the same mistakes I did. You can build the type of body I have much quicker than me! So, what are you waiting for? Someone else (me) has already done the research.